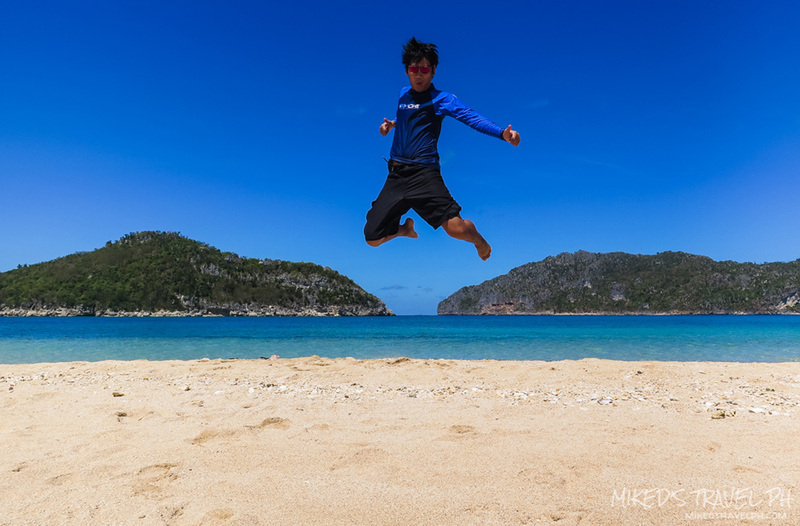 Islas de Gigantes or Gigantes Islands is a hidden paradise in the northernmost part of Iloilo province. Gigantes group of islands consists of about ten islands; the two largest are Gigantes Norte and Gigantes Sur. 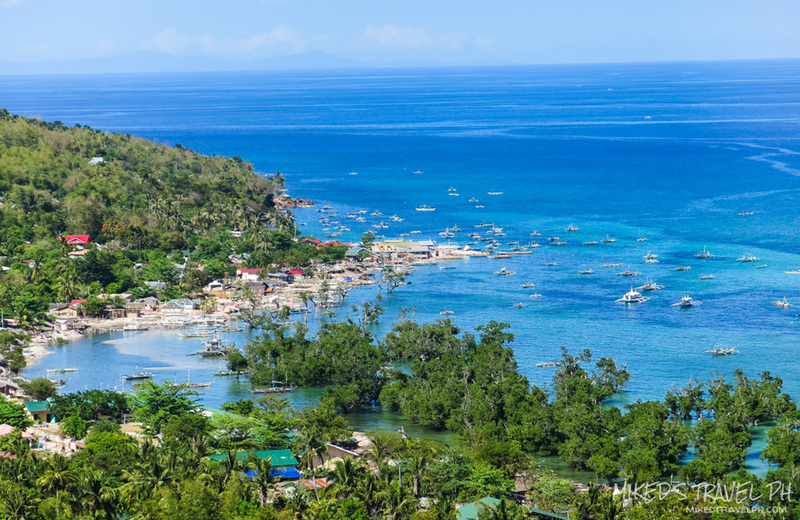 The islands are blessed with white sand beaches and crystal clear waters and is also known as the scallop capital of the Philippines. Gigantes Islands are part of Carles, the northernmost municipality in the province of Iloilo, around 142 kilometers from Iloilo City. To get here, one must go to Estancia a municipality located adjacent to the water territory of Carles. Although Estancia is part of the Iloilo province, Iloilo International Aiport is around 4 hours away from it. 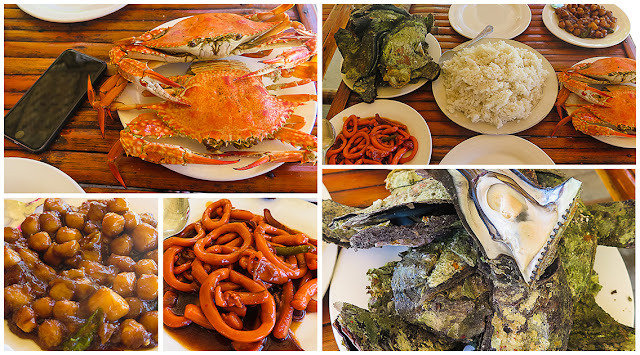 The nearest airport to Estancia is Roxas Airport in Capiz, which is around 2 hours away. Take a direct flight from NAIA/Mactan Cebu Airport to Roxas or Iloilo airport. From Roxas Airport, take a tricycle to Roxas City Integrated Transport Terminal. 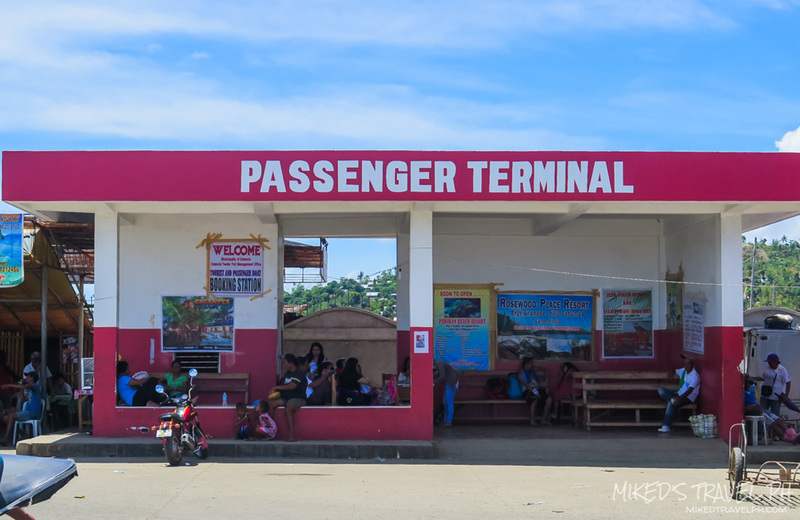 From Iloilo International Airport, ride a van/cab to Jaro and go to Tagbak Terminal. 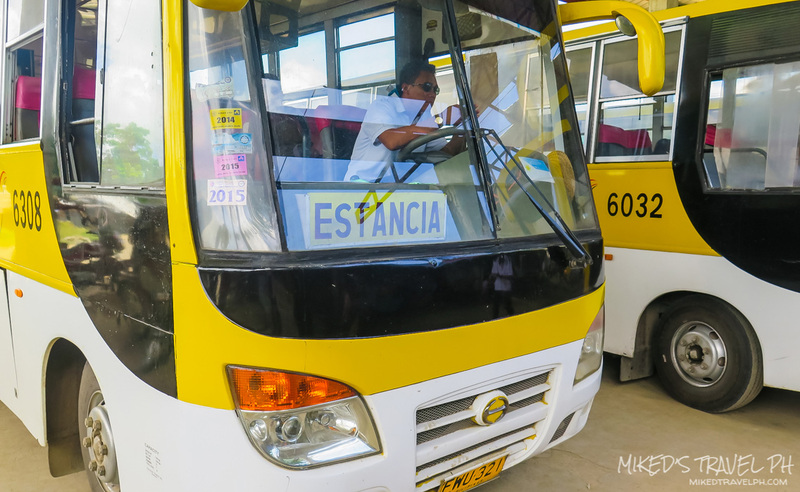 Ride a bus to Estancia then ride a tricycle to the port. 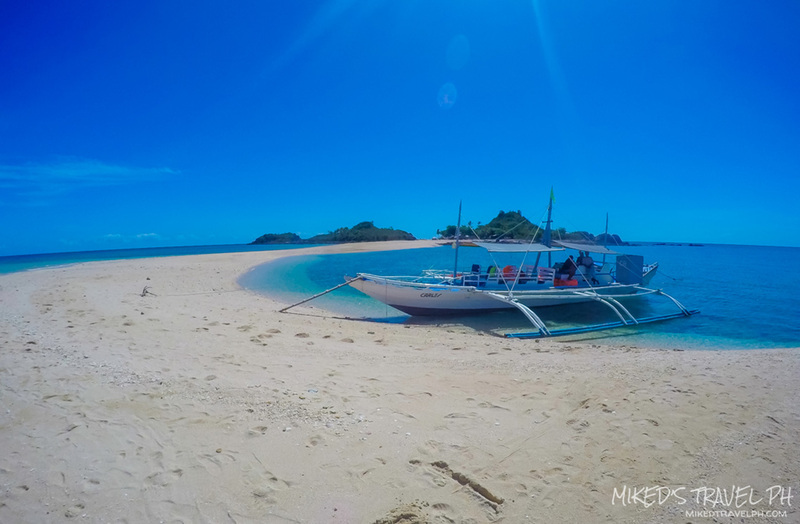 The passenger boat from Estancia to Gigantes Islands only has one trip per day. 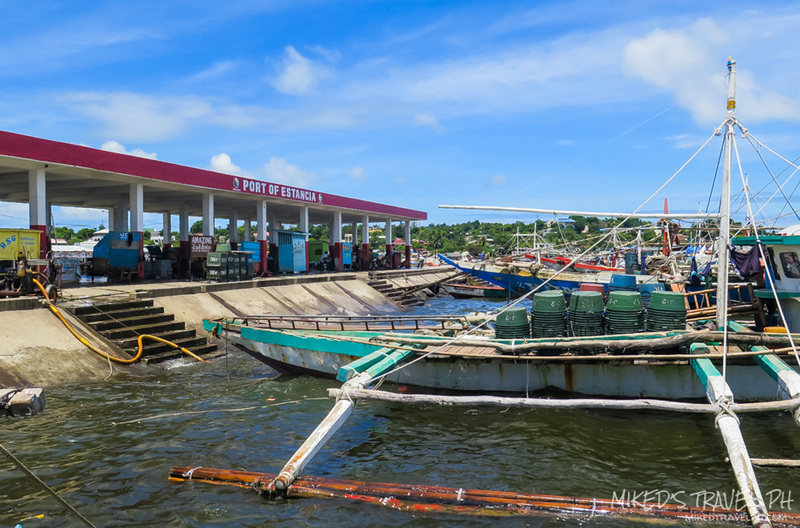 If you missed the public boat, you can rent a private boat for PhP 5000.00. 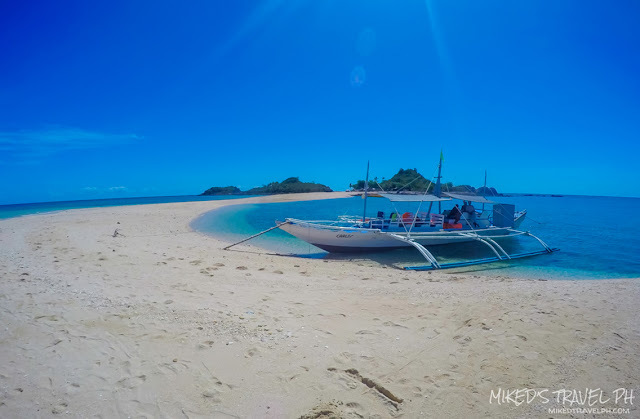 Travel time from Estancia to Gigantes Islands is around 2 hours. If coming from Bacolod, you can take a fast craft from Bacolod to Iloilo and just follow the instructions above on how to get to Estancia port. 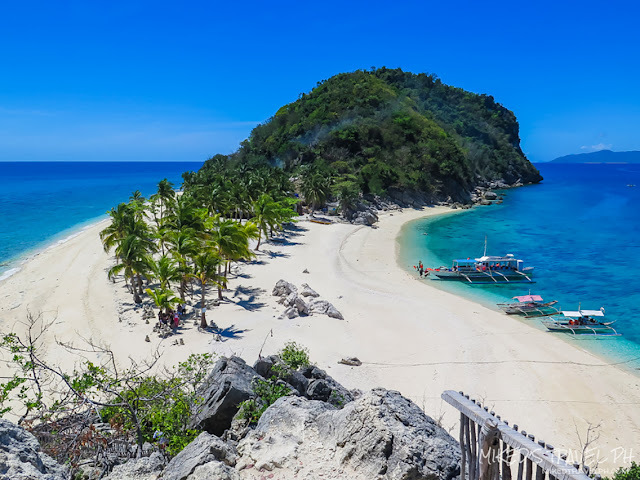 There are several resorts on Gigantes Island. Most of it is on Gigantes Norte, which includes the very first resort (and probably the most popular) in the Gigantes, Gigantes Hideaway Resort. They also offer tours and accommodation packages. 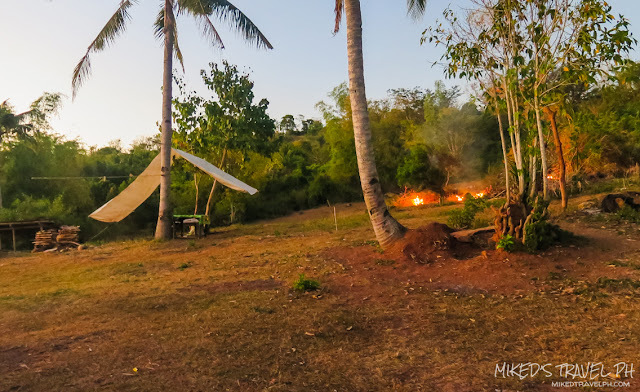 You may also go camping in one of the smaller islands like Bantigue and Cabugao Islands. Here're some contact details of some resorts. 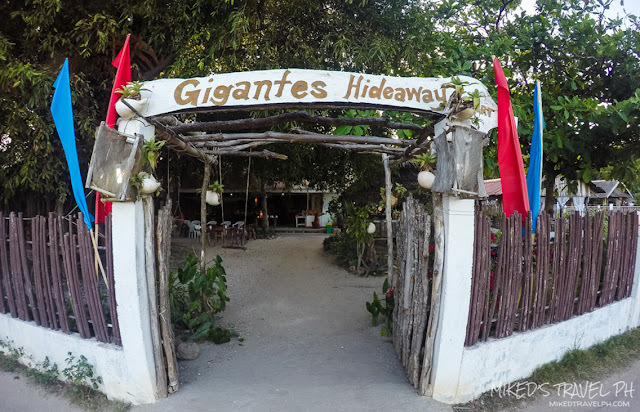 Gigantes Hideaway Resort offered us an all-in 3-days, 2-nights (via passenger boat from Estancia) tour package for PhP 2895.00 per person, or 2-days, 1-night (via direct private boat from Estancia) for PhP 3895.00. The via passenger boat option is much longer since it sticks to the schedule of the passenger boat trip, which is only once a day while the direct private boat will fetch you anytime you arrive from Estancia. The rates given to us are just for 2 pax, so if your group is big, it will be cheaper than that. Here are the inclusions on the tour package we availed. The island is just small so the means of getting around the island is just by taking a ride on a motorcycle. The fare is PhP 10.00 per person for near destinations like the Call Center (the only area in the island where there is a network coverage) while going to the Langub Sandbar cost PhP 30.00 per person. 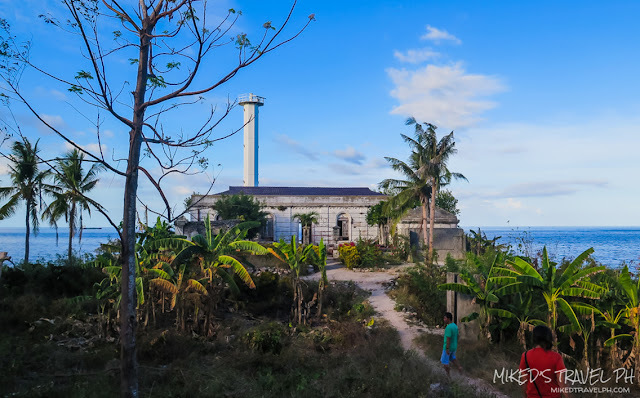 The Lighthouse - the lighthouse ( a new one, the old lighthouse was destroyed by the typhoon last 2008) is located at the northern tip of Gigantes Norte that offers a great view of the ocean including the island of Masbate. The structure around the lighthouse was built during the Spanish-colonial era. Langub Sandbar - a sandbar located in Gigantes Norte which is 5 to 10 minutes away from Gigantes Hideaway Resort. 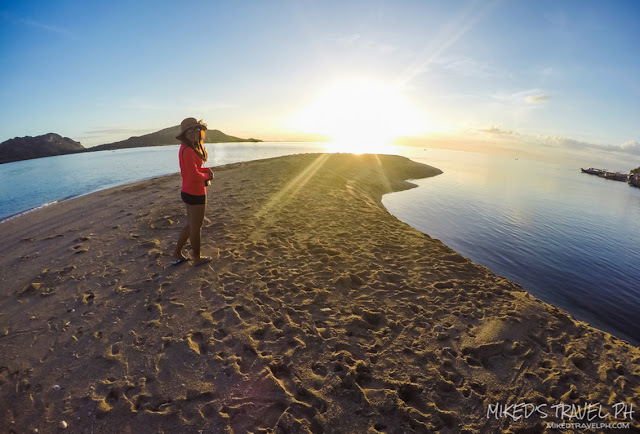 The sandbar is a perfect place to chill and watch a beautiful sunset. Antonia Island - an island which has a beautiful white sand beach and is also a good spot for snorkeling. 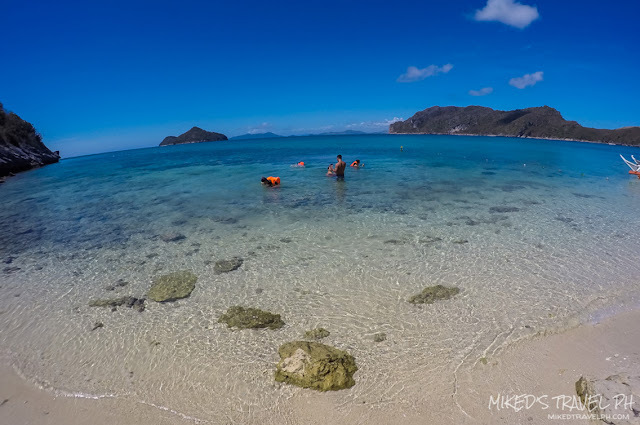 Bantigue Island - the island that is known for its beautiful sandbar, crystal clear waters that are very nice for swimming and has a nice view of the ocean between two islands. 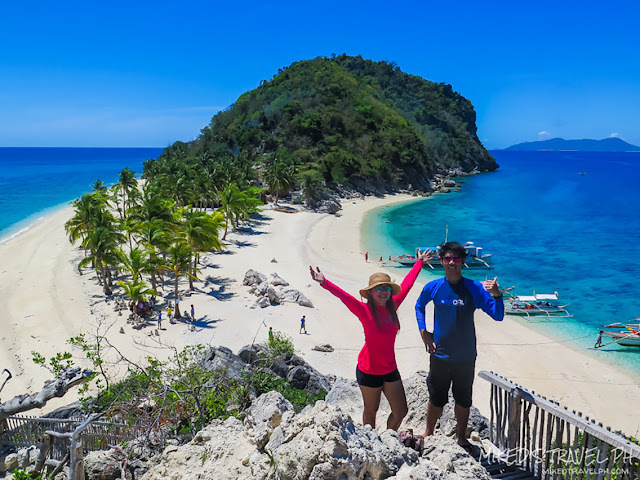 Cabugao Island - the island where most photos of Gigantes Islands that we see on the internet was taken. The island is a stretch of white sand beach with hills at the end and a huge rock at the other side. 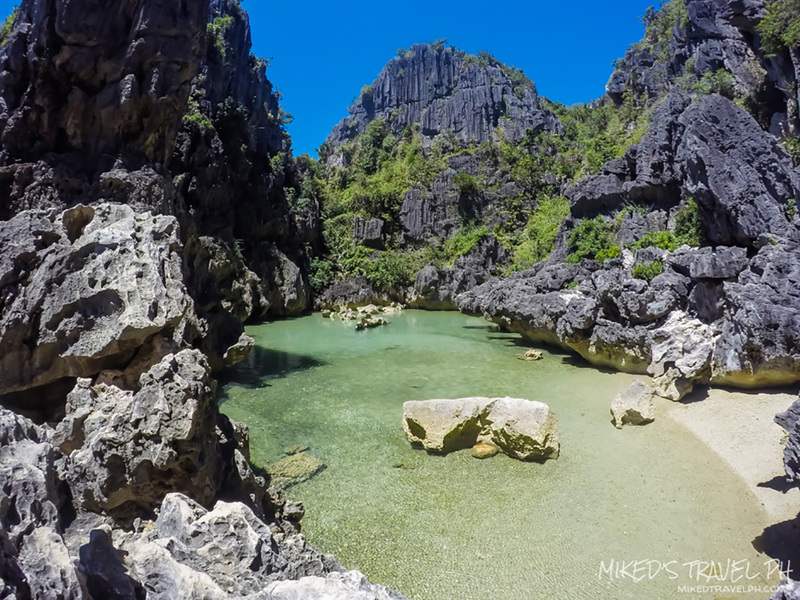 Tangke Saltwater Lagoon - a hidden lagoon in an island surrounded by limestone rocks. 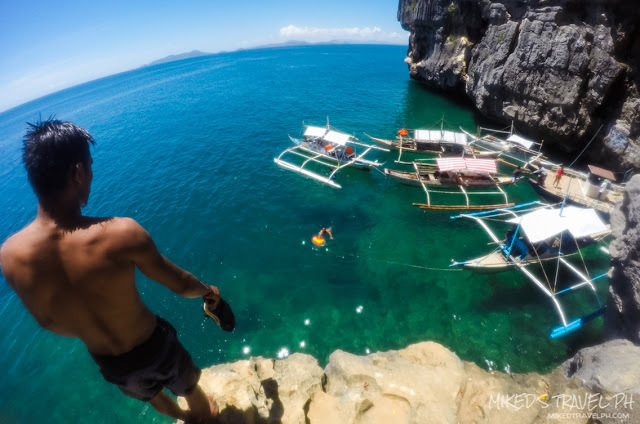 There is also an area where you can go cliff diving here. 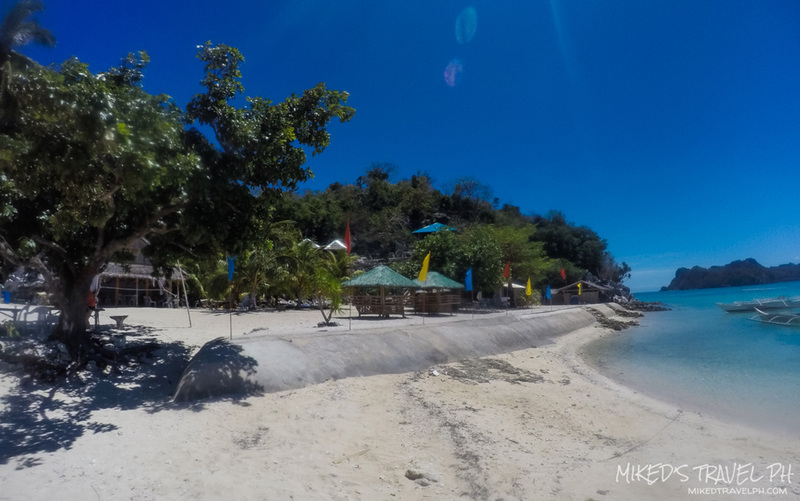 Bulobadian Island - an island near Gigantes Norte where the extension of Gigantes Hideaway Resort is located. 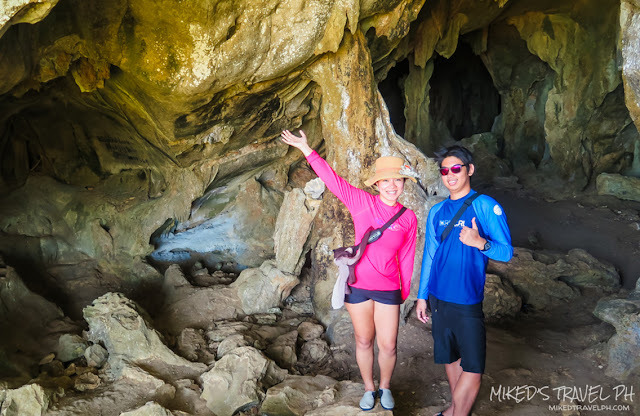 Bakwitan Cave - a cave located in Gigantes Norte where you can go caving. Here's the usual itinerary for a 3-day 2-night stay in Gigantes Islands. Since our tour is a package deal, I can't give the exact breakdown of expenses so here is just a list of the costs per person that you need to take note of. There is only one trip a day from Estancia to Gigantes at 1-2 PM and Gigantes to Estancia at 8-8:30 AM. There is no electricity on the island from 6 AM to 3 PM. There is only one area in the island where there is network coverage which is called Call Center. Schedule your trip during the Scallop Festival around March or April. Great blog! On my bucket list now! how to get there if my location is in cebu?